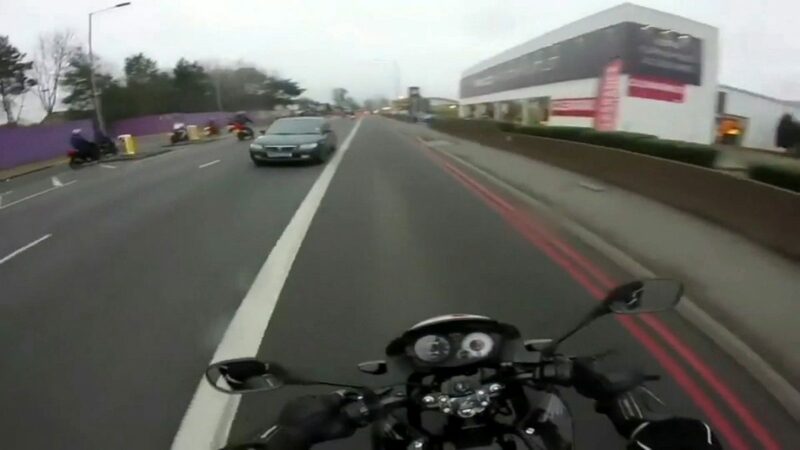 A “reckless” biker who filmed himself dodging in and out of traffic and jumping red lights during a mass “Ride Out” has been jailed. 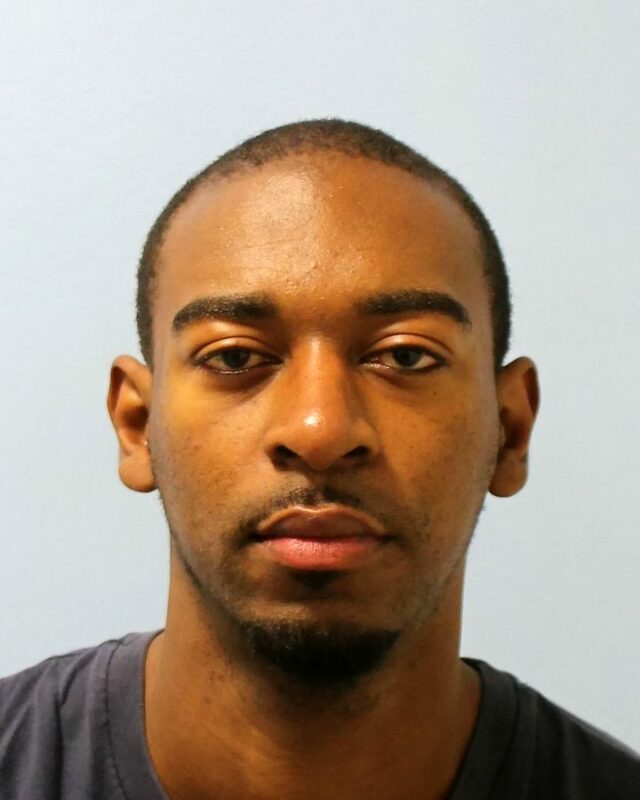 Kamal Richards, 24, clocked up more than THIRTY motoring offences – including speeding and riding the wrong way around roundabouts – during the 60 minute rampage across south London on New Year’s Day, 2016. Police say that Richards could have killed himself or other road users at least FOUR TIMES during the Ride Out alongside dozens of other bikers. 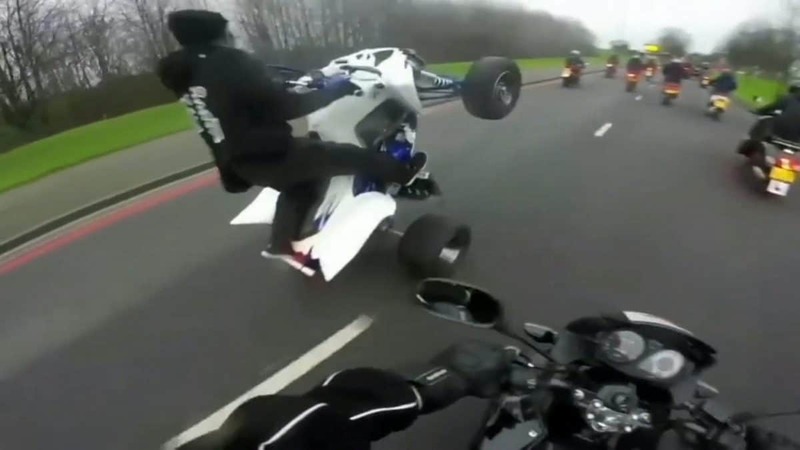 Dramatic footage taken by Richards – described by the Judge as “heart in the mouth material” – shows dozens of riders, some on quad bikes, performing wheelies and other stunts as they weave in and out of traffic in wet weather. Richards, of Dulwich, south east London, was snared after uploading to a video sharing platform footage of himself during the Ride Out. The court heard how UKBikeLife member Richards, known as @WH05DAT, took part in the UK ‘Raise it Up’ New Year’s Ride Out. The bikers set off from Croydon at 2pm that day and completed a circuit through Purley, Coulsdon via Reigate Hill, back to Croydon. Richards, who was riding a black Honda motorbike, filmed it using a camera mounted on his helmet and uploaded the unedited footage onto a video uploading platform. 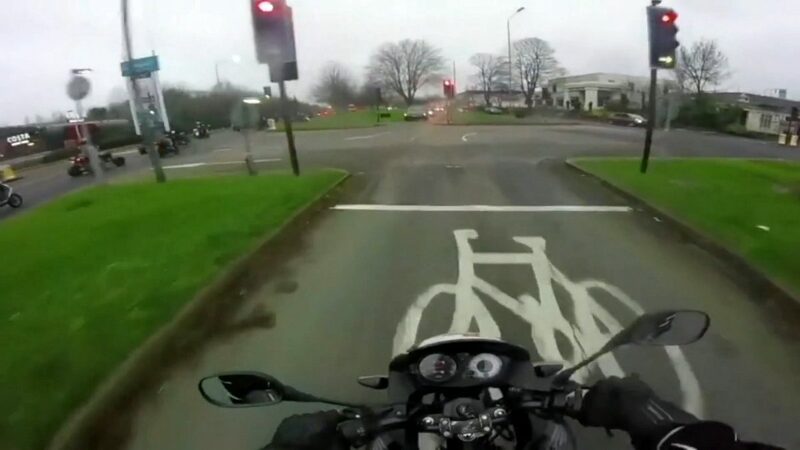 The footage showed him committing multiple offences including contravening multiple red lights, and riding on the offside of keep left signs – clearly marked by central reservations – deliberately obstruction of the highway. Sentencing Richards, Judge Elizabeth Smaller told him: “You took part and committed an offence of dangerous driving in a ride out. “I have seen the footage and have been unable to count myself how many were involved. “The collective manner of the driving was largely unbecoming. Richards was also seen to overtake two vehicles, positioned and indicating to turn right into a car park. Police say the manoeuvre was “potentially dangerous” as the stationary drivers would have been unlikely to perform a shoulder check and see him coming. Sergeant Elizabeth Hockley, of the Met’s Roads and Transport Policing Command, said: “Richards’ extremely dangerous driving could have easily resulted in serious injury or even death of himself or other road users. Siwan Hayward, Director of Compliance, Policing and On-Street at Transport for London, said: “The actions of Richards were dangerous and selfish, and could have had fatal consequences. “Dangerous and reckless driving puts many people’s lives at risk and it’s nothing to boast about.